What if I told you that within almost every cell in your body, there is a highly sought after substance that has been touted as “The miracle molecule” and “nature’s moisturizer”? Well it would certainly pique the interest of a fair few, and that’s exactly what has been happening over the past few years with our newfound ability to synthesise this substance. So, ‘What is it?’ I hear you ask. Hyaluronic acid is a naturally occurring substance produced by the body; it is what gives our skin its volume and fullness. When it is injected into wrinkled skin it adds fullness to the applied area and reduces the prominence of the wrinkles, aiding in an overall anti-aging effect. Hyaluronic acid also has fascinating hydrophilic properties allowing the molecules to attract and bind to water resulting in a viscous gel.This viscous gel is rapidly becoming one of the most heavily researched substances in medicine today. Its function in the body is, amongst other things, to bind water and lubricate movable parts of the body, such as joints and muscles. Its consistency and tissue-friendliness allows it to be beneficial in skin-care products as an excellent moisturizer. So how can we utilize this simple but effect substance to benefit our body beautiful? Easy! Three words that you will no doubt be hearing a lot about over the coming years: Meso Vytal Treatments. Let me explain below. Meso Vytal is essentially a digital skin needling system which delivers valuable ingredients straight to the intersection between the dermis and the epidermis (or outer layer of skin). But wouldn’t a topical cream or gel be just as effective if it is still absorbed? The answer is unfortunately no. Considering that topical skin-care can only ever be absorbed by – and therefore benefit – the top 0.5mm of your skin, Meso Vytal is injecting extremely beneficial skin-care ingredients far deeper than anything you apply to your face ever could. So yes, it does involve a needle, but it really is not penetrating very deeply into the skin – it goes deep enough to benefit the skin, but not deep enough to hurt. I can assure you that the machine used to conduct the treatment isn’t at all frightening! So why is meso Vytal better than derma rolling? Well Vytal is less invasive and there is no need for numbing creams on the skin which means the products are able to work better. And more importantly, the contoured needle head means you can be more specific by targeting finer areas such as going around the under eye area. Now that you’re clued up on the active substance and the delivery system, it’s time to talk about the range of formulas that can be used. Each of the following can be inserted into the delivery system and applied to the skin. Meso Vytal Med contains hyaluronic acid and peptides for intense hydration and to stimulate the skin’s natural collagen production. This is excellent for dry, tired skin that’s beginning to show signs of ageing. Meso Vytal Fresh contains CoEnzyme Q10 (skin-care’s latest buzzword!). 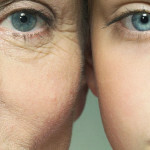 This occurs naturally in the body but diminishes once we are in our thirties. It preserves the skin’s collagen and elastin. It also contains antioxidants which protect against and help reverse damage to the skin. This formula also contains a cocktail of lovely vitamins and amino acids. Fresh is great for younger skin – encouraging it to maintain itself at optimum condition. Meso Vytal Pure is directed at dull, dry and mature skin. This also contains amino acids. It has a blend of yam and soybean extracts to regenerate and enhance mature skin. Meso Vytal is now available at Sally Taha Permanent Makeup Specialist clinics in Newcastle, Durham and Sunderland. For more information contact Sally on 07904472575 or fill out the contact form. Fully qualified, insured and licensed.